Great post. I love to journal and “Free writing” is one of my favorite way to write about a card. 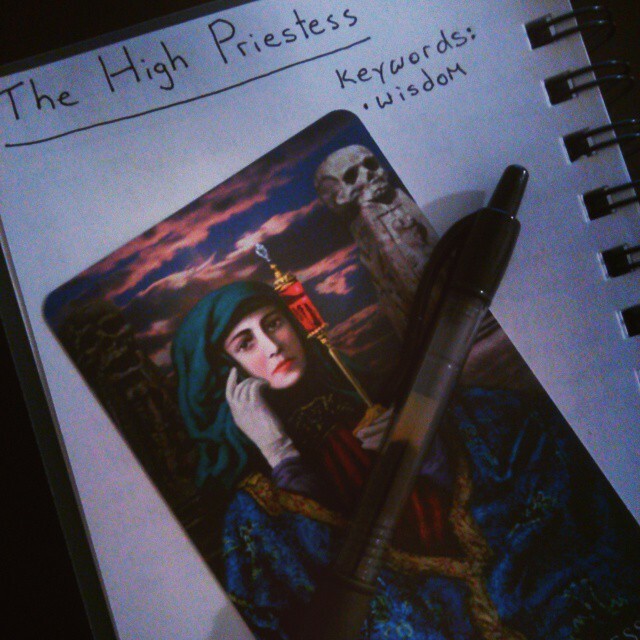 In a way my blog is also a part of my tarot journal. I would be very interested in the opportunity to have this article featured on your site. Contact me via the “Contact Me” link here on the blog and we can hash out the details. I look forward to hearing from you. Wow, I definitely needed this post! 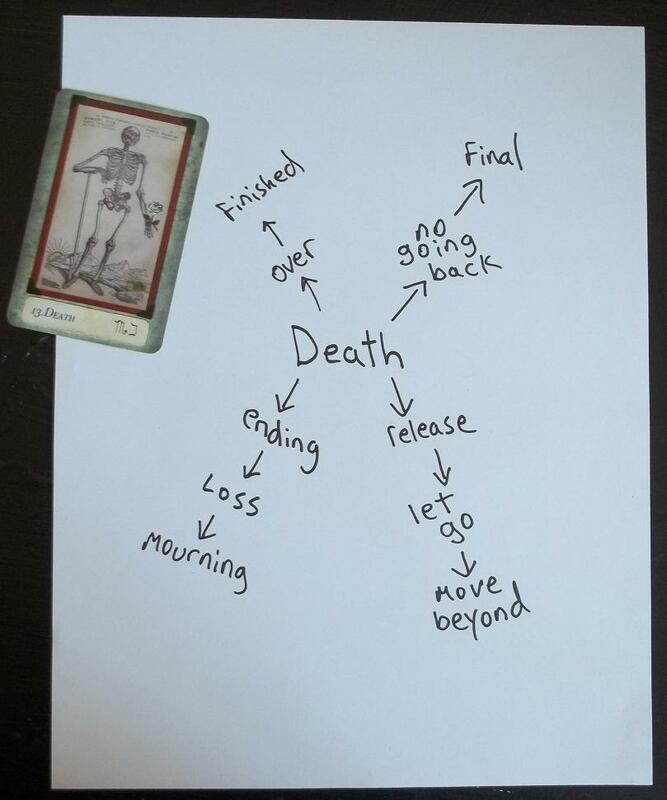 I recently started tarot and am trying to get into the habit of writing offline then moving entries online because I really want to connect with others interested in tarot! 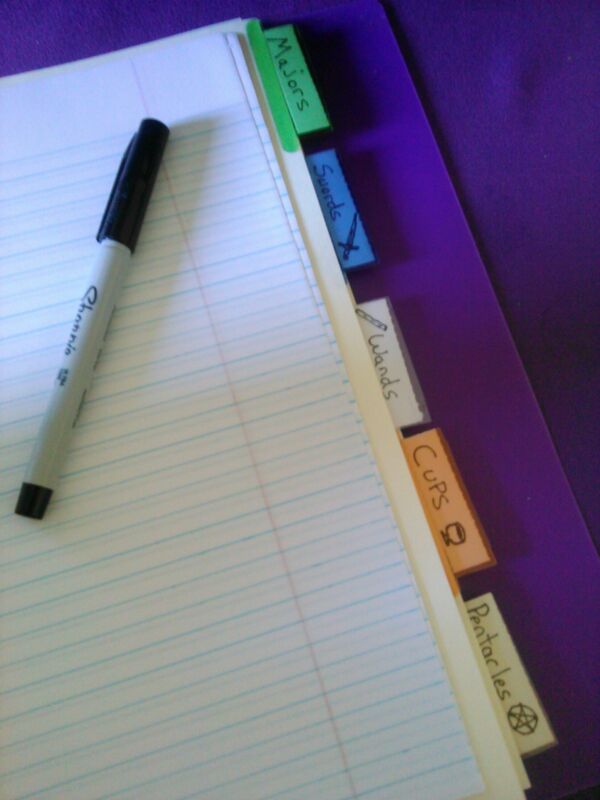 The idea of using a three-ring binder makes so much sense, I can’t believe I never thought of it before – thank you! 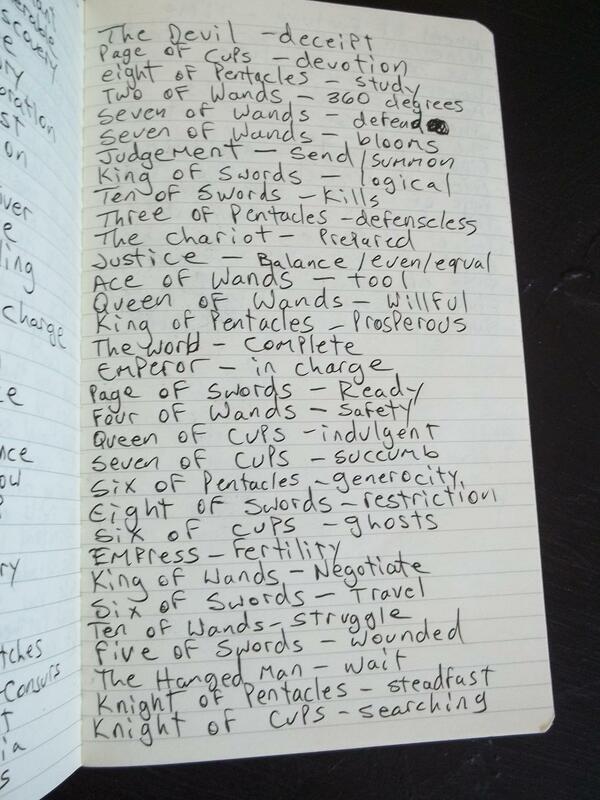 How long have you been journaling for tarot? Do you journal daily, and if you do, when do you usually do it? 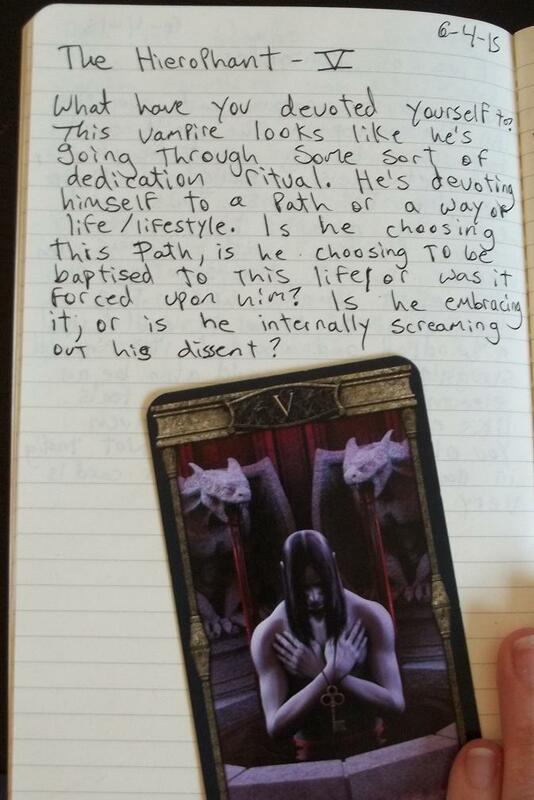 I’ve been journaling ever since I started reading tarot, about 3 years. I usually go through periods where I am writing on a daily basis and then I take a break for a couple weeks or months. 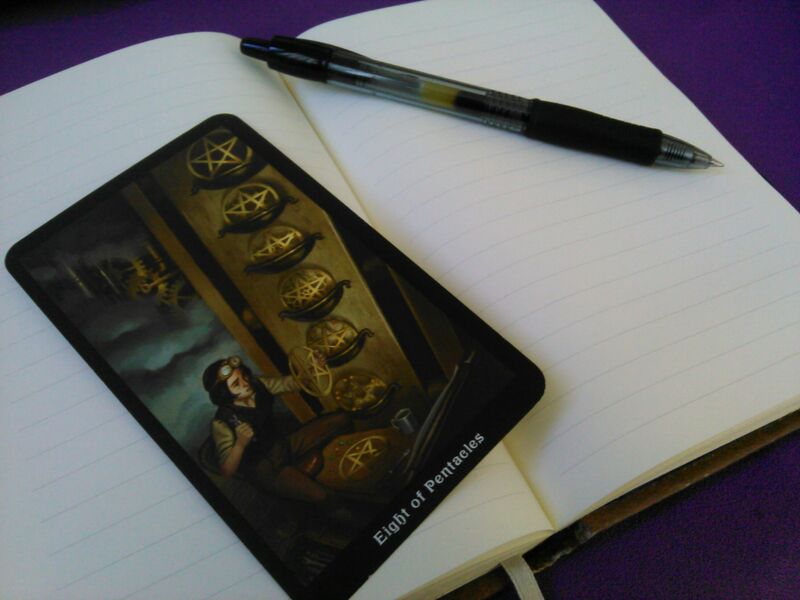 I also dedicate time to journaling if I have a specific deck or a specific card I want to understand better. Thank you for this and for including your own pages! (I ❤ your handwriting 🙂 There's totally no wrong way to do it like you mention but it's helpful for direction to see how others do it. Your prompt questions are awesome. Love this post! Very helpful!! Thanks bunches!! So glad you enjoyed the post! Happy journaling!